Kosyo Food Laboratory Co,. 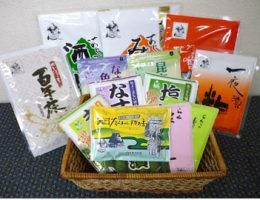 Ltd.
Our company is located at Nishio City, Aichi Prefecture. We are working on expanding the consumption of local vegetables by manufacturing pickles mix. Our corporate philosophy is "Creating new food with the fusion of biotechnology and traditional techniques”. Moreover, we always bear in mind our management philosophy “Three-way satisfaction & Light the fire of passion” while doing business with a grateful heart. We make sure we do business that benefits all three parties – our customers, the society and our own company. Finally, we aim to pass on our thoughts and passion to more people. 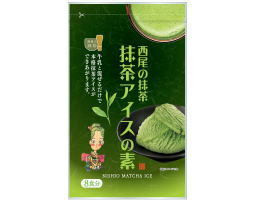 Even without using a special machine such as ice cream maker, you can still make a high quality green tea ice cream simply by mixing this ice cream mix with milk and chill it in the freezer.